Fibrous joints are held together by collagenous fibers, the same fibers that make up tendons and ligaments. These joints do not have a joint cavity. Sutures are immovable fibrous joints of the skull. Color in the suture illustrated on the page. A gomphosis is a fibrous joint in which a round peg is held into a socket. Gomphoses are represented by the teeth held into the maxilla or the mandible. Another fibrous joint is the syndesmosis. This joint is found between the distal radius and ulna (or tibia and fibula) and is semimovable. Color in the various fibrous joints. Cartilaginous joints are bones held together by cartilage and do not have a joint cavity. 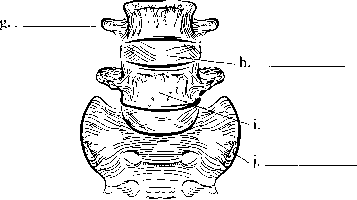 If the joint is held together by hyaline cartilage it is known as a synchondrosis. If the cartilage is short then the joint is immovable. An example of this kind of joint is an epiphyseal plate. If the cartilage is a little longer then the joint is a semimovable joint. 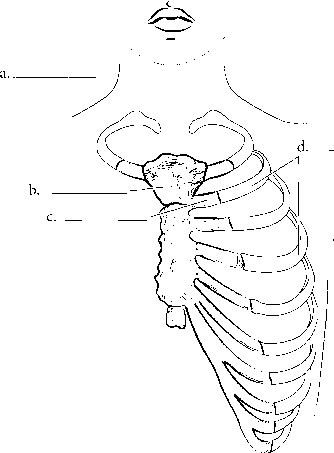 This is represented by the sternal-rib junction. A cartilaginous joint that is composed of fibrocartilage is known as a symphysis (symphyses plural). 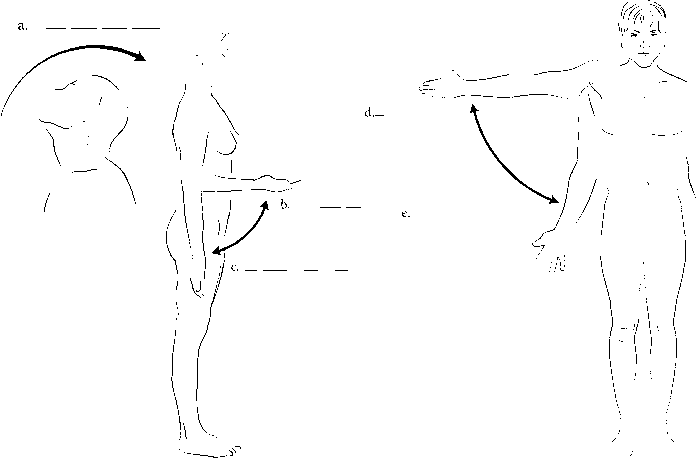 These are semimovable joints. 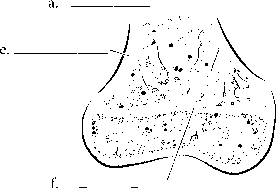 Examples of symphyses are the pubic symphysis and intervertebral discs. Color the cartilaginous joints. Use different colors for the hyaline cartilage from the fibrocartilage.